Google’s Project Glass needs little introduction, but even at Google I/O this year they were rare enough that they were a novelty. So it sort of surprises me that someone was willing to take apart their headset. 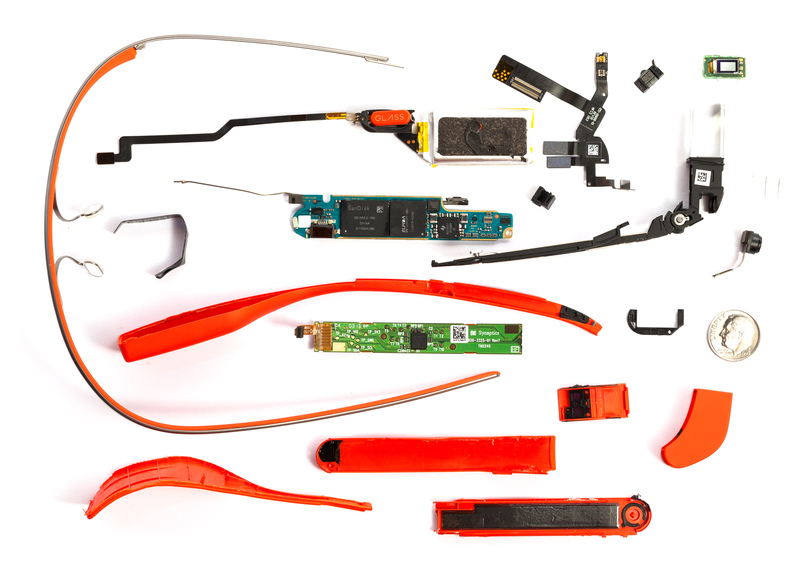 Surprises and delights that is, I love a good teardown post. With no idea of what lay ahead, we started by removing the titanium frame from the pod that holds all the good stuff. This is a beautifully presented and detailed teardown of Glass by Scott Torborg and Star Simpson. All honour to them, especially since they were apparently able to reassemble their Glass after the teardown. It still worked perfectly, albeit with some cosmetic damage.